Now dedicated to bringing pizza to pugs around the world. We know that we just recently did a name change (Goods that Matter) and it is pretty soon after, but we've decided to change our name & direction, we hope that you are as excited about this as we are! Tonto Matters. 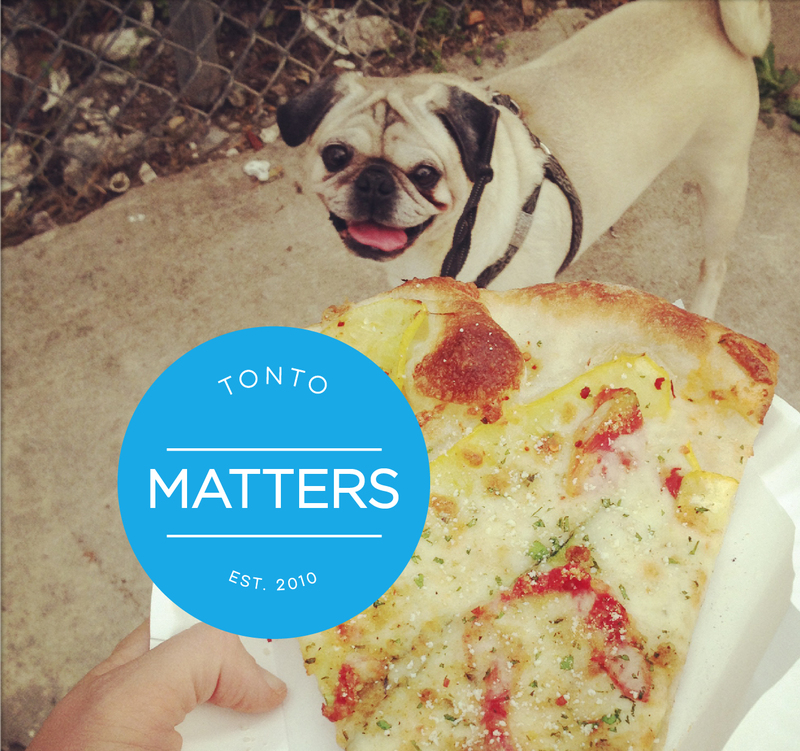 We're thrilled to announce that our new name is Tonto Matters. Our new mission is to give pizza to hungry pugs around the world. We hope that you are as excited as we are, especially Tonto. Special April 1 - April 5, 30% discount! It's a cold & grey day here, but the scent of SMOKE perfume & BirdProject Soap is making it a little brighter here in the studio! I'm delighted to share with you a special collaboration with fellow New Orleans creative entrepreneur (& good friend Kathleen) at SMOKE Perfume! 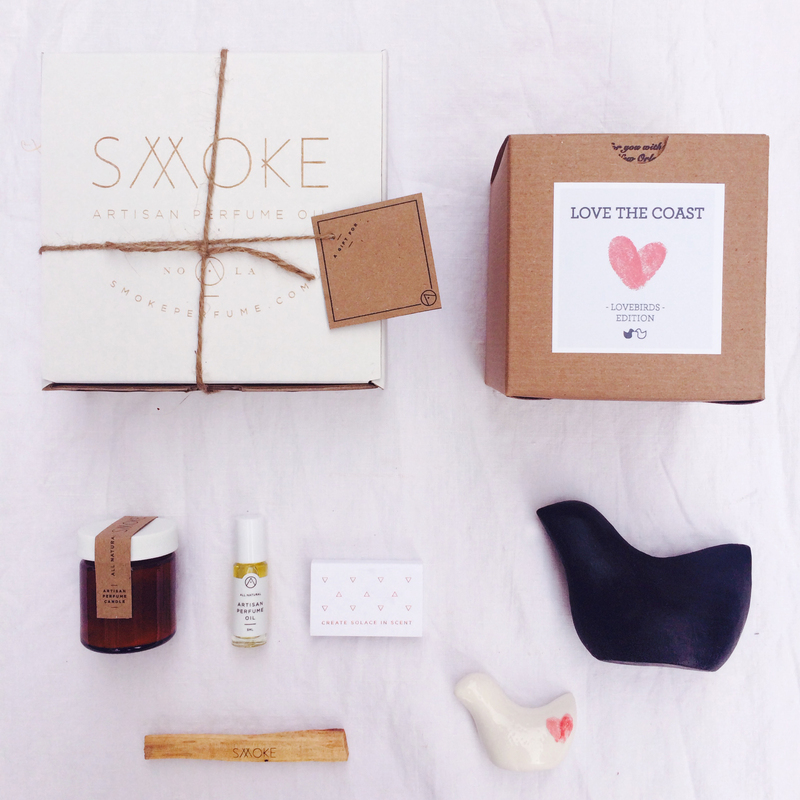 A Smoke Perfume Gift Set + Lovebird edition of BirdProject Soap for $55 (full retail value of $72) for a limited time. More about SMOKE: The Smoke Gift Box includes an array of carefully hand-selected items for a complete Smoke Perfume Immersion. Allow the aromatherapeutic, vetiver based scent of your candle to envelop you, dab the all-natural Smoke Perfume Oil on pulse points for the sensual lift of citrus and jasmine, and light your palo santo stick in the Smoke candle to clear your space and complete your ritual. Contains: 2 oz soy candle with a 10 hour burn time 5ml Smoke perfume roll-on foil-printed matches laser etched stick of palo santo All lovingly hand-selected, hand-poured, and hand-filled in a nest of sustainable wood wool from American aspen trees. 'Lovely Red' Warm Hugs, now available. Made to Order! 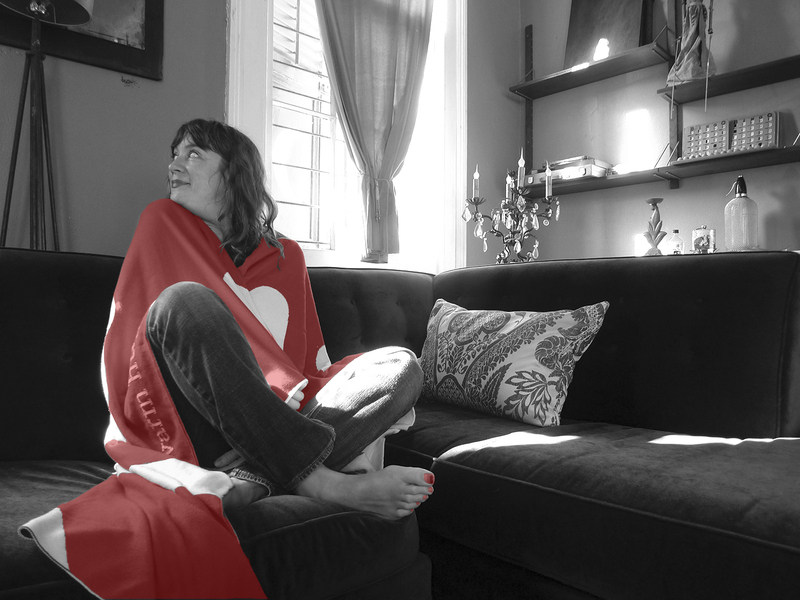 Order by this Friday, Feb. 6 in order to get a new, 'Lovely Red' Warm hug for your sweetie. These are available in both Adult Throw & Child/Baby sizes, oohlala! So soft, so cozy, and they give back to disaster relief (Images below). We still have a few misfits left! 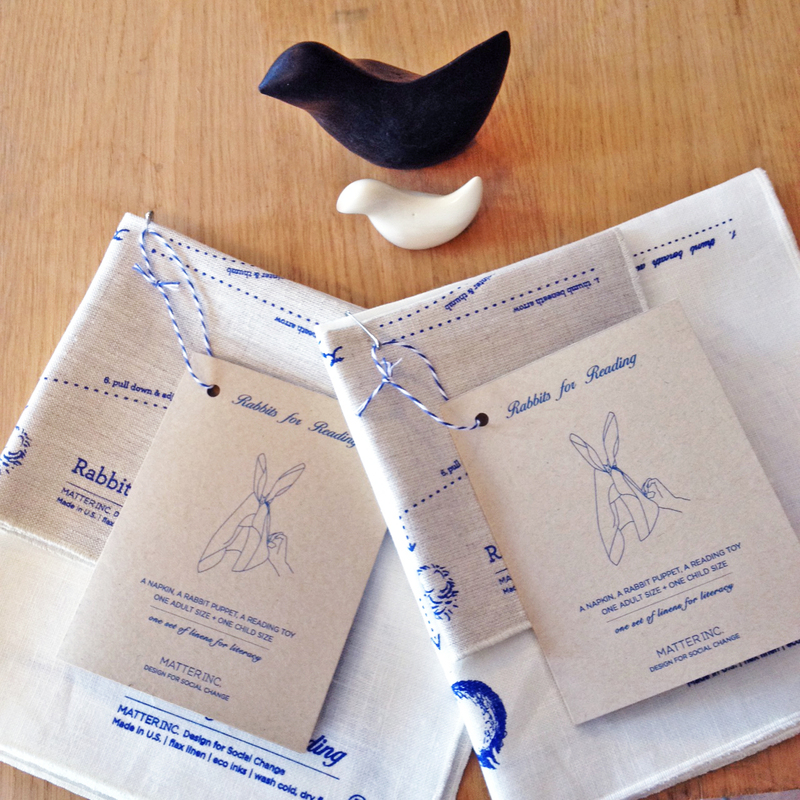 If you didn't catch them last week, we still have some BirdSoaps, Totes, Notebooks, & Tees left - see them all here. Also, we have a new instagram account, please stay in touch, and give follow us at goodsthatmatter! Tag us too in your pics or posts using #goodsthatmatter , merci beaucoup! 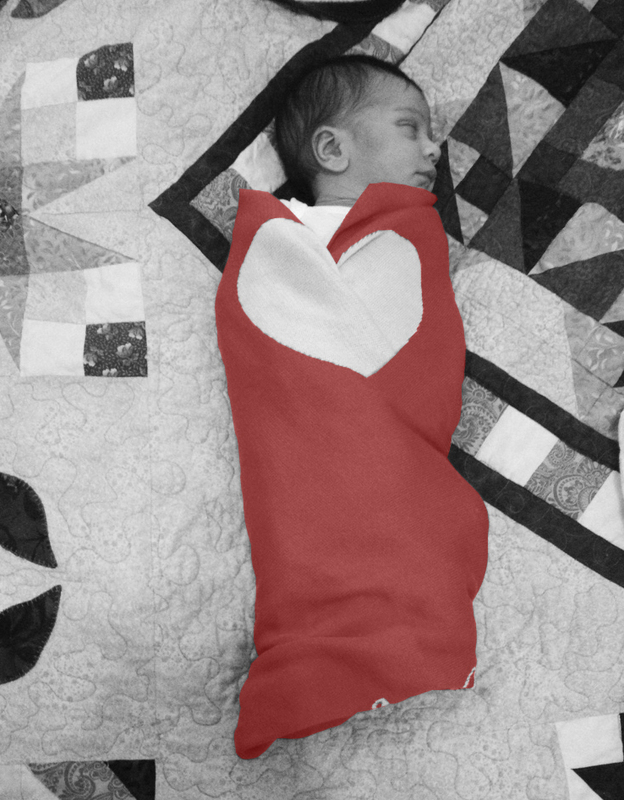 Online Sample Sale & new* Lovely Red Warm Hug Blankets! Happy New Year! 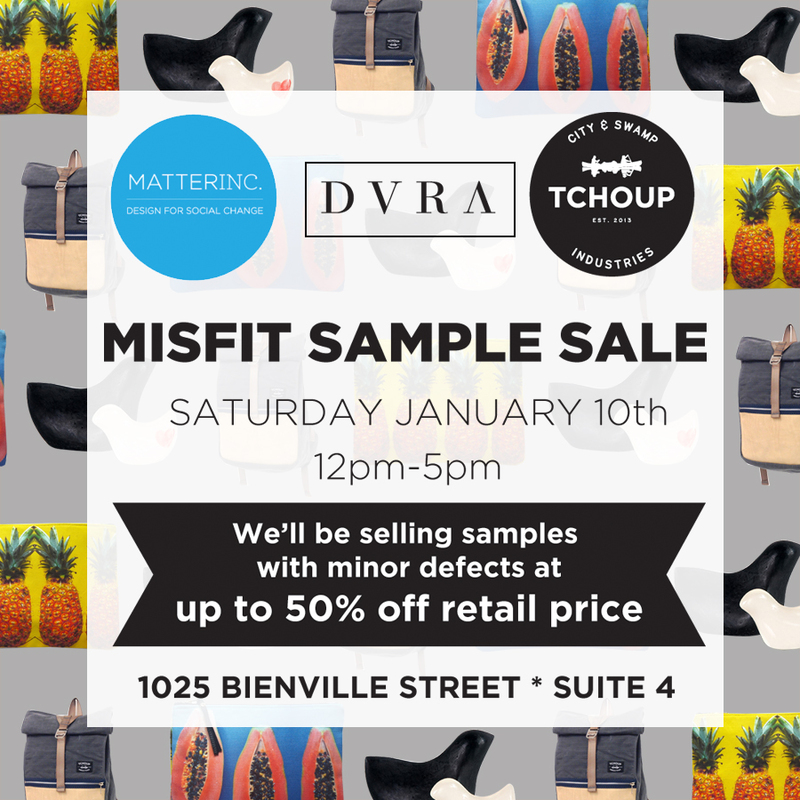 Sample Sale Saturday & tell me what you think! We'll have these Misfit Birdies available! Looking into the New Year ahead, I'd love to hear from you! Please let me know what Matter has done well, what we haven't done well, or the things in between - I'd love to learn from our mistakes to do better in the future. Last but not least, to celebrate 2015, please use the discount code 'HAPPY' for 20% off any Matter item on our webshop! Cheers to a wonderful new year & happy 12th night! 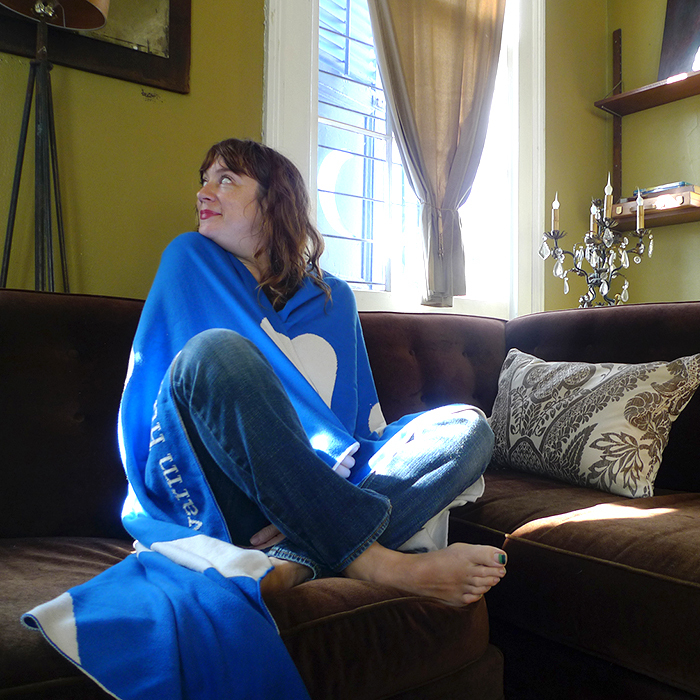 A lovely story & snuggle up with our coziest *new* Eco Throw Blanket! 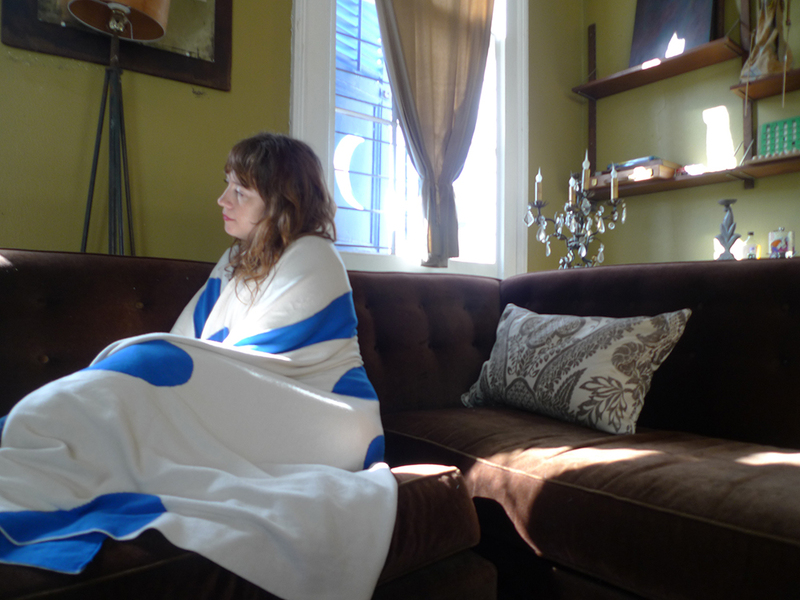 The Softest, Coziest Eco Throw Blanket. 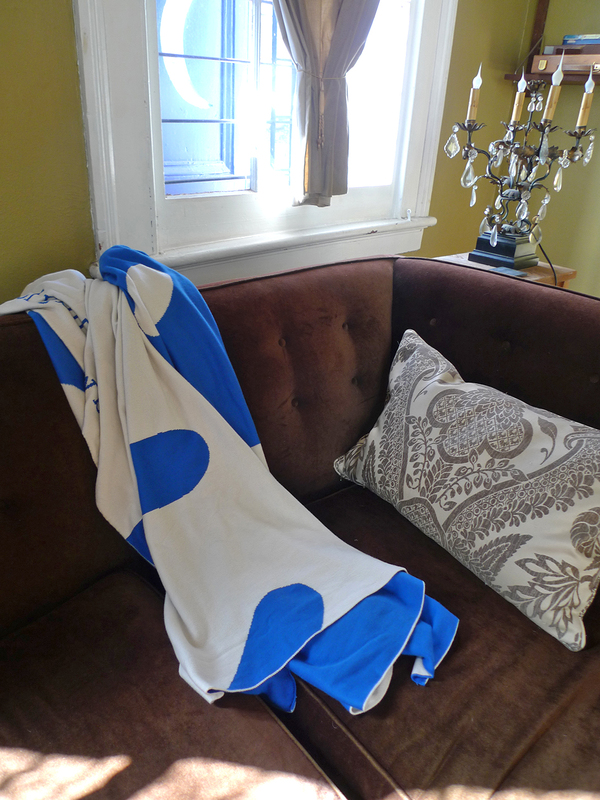 *New & now available, our 100% Egyptian Cotton Throw Blanket! The adult sized Warm Hug is here! This is the softest, most snuggly blanket that I know of, it's a double knit, made to order with love in North Carolina. It's lightweight yet warm, machine washable (wash cold, dry medium), & is available in four colors: cozy green, warm brown, fuchsia, and indigo (shown in the pic above)! 10% of profits are donated to Architecture for Humanity, who thoughtfully rebuild communities around the world in need of disaster relief. 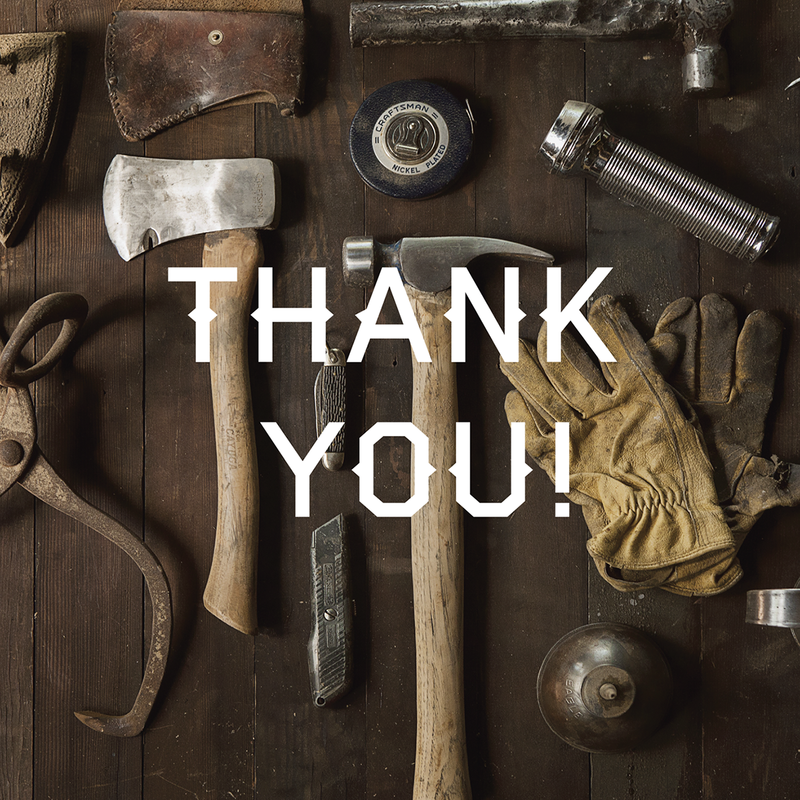 Currently, our donations are made to Hurricane Sandy rebuilding projects. A customized version is also available, include your desired initials or name in the notes section during checkout. *Orders placed by this Friday, Dec. 12 will arrive in time for the holidays! Last Tuesday we part of the Art of Giving Holiday event for Southern Artists at the Ogden. One of the women who came by was interested in our Birds & then asked about the linens. 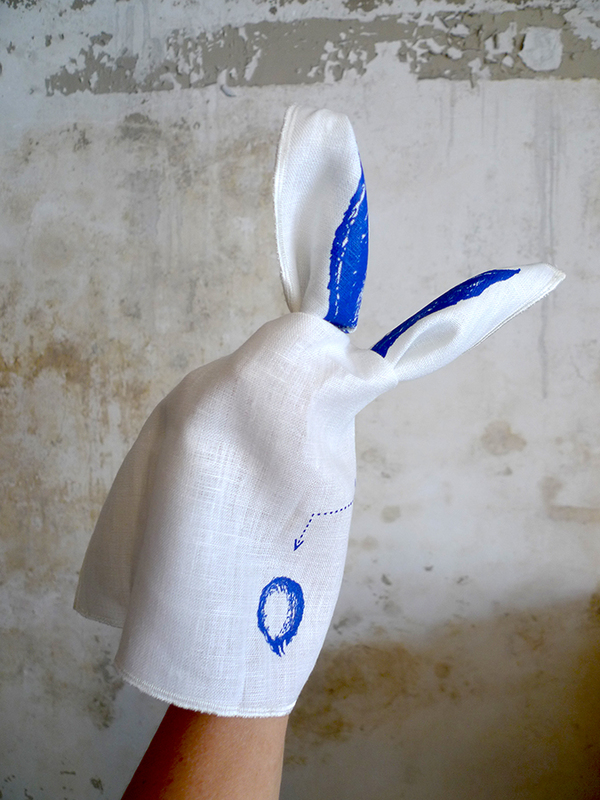 As I began describing how the linens folded into a Rabbit, a funny look which I couldn't quite interpret spread across her face. After a few moments she said, "On my first date with my husband it wasn't going so well. I wasn't going to go out with him again, but towards the end of the date he took his napkin and folded into a rabbit, he made me laugh so much with his rabbit antics that I fell in love and we called each other Bunny for ages. We've now been together for 28 years." She took our Rabbit set home & I can't wait to hear from her to see what her Bunny thought, it gave me goosebumps! Market dates in New Orleans! Today, Sunday, Dec. - 7, 11.30 - 4.30 | Popping up at West Elm w/ Flying Fox! Saturday, Dec. 13, 12 - 4pm | the Freret Market with Birthmark Sunday, Dec. 14, 12 - 4pm | New Orleans Holiday Bazaar at Creole Gardens Saturday, Dec. 20, 12 - 4pm | OCH Art Market Sunday, Dec. 21, 11.30-4pm | Pop-up shop at West Elm w/ Tchoup Industries! Free Shipping Code good until Dec. 15 & Holiday Shipping Dates! Cyber Monday & Fair Tuesday! I hope that you and yours had great times & delicious dinners over the holiday! In New Orleans, many of us head to the Horse Track for opening day, which I happily was able to make this year. It is always a treat to put on a big hat and get dressed up - My friends and I bet on the underdogs but had no winnings, ah well, maybe next year! Cyber Monday & Fair Tuesday specials through this Thursday! Your Choice! Either 20% off with code 'Merci!' -or- Free Shipping on orders over $25 with code 'GivingGifts' at checkout through Thursday at midnight. Art of Giving at the Ogden, Dec. 2 & New Orleans Holiday Bazaar, Dec. 14. If in New Orleans, come and see us at the Ogden for their annual Art of Giving event! Tuesday (Dec.2) 6-8pm at the Ogden, members receive 10% off of all purchases & a free drink. It's free admission for all, come and support Southern Art! Also, don't miss the New Orleans Holiday Bazaar, Dec. 14, 1-6 pm at the lovely Creole Gardens on Prytania. Featured in National Geographic Traveler & Everygirl's Gift Guides. If you didn't happen to see it, I'm delighted for our Lovebirds to have been featured in National Geographic Traveler's World Market Holiday Gift Guide! BirdProject is proud to represent New Orleans in this gift guide, by putting a bird IN it! 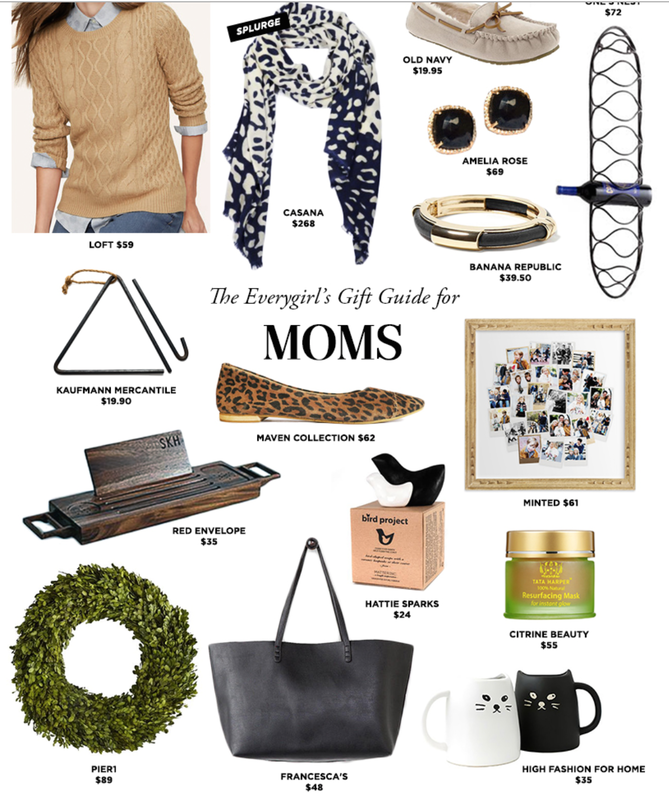 Also, we're honored to be included in Everygirl's Comprehensive Holiday Gift Guide! Find us in the Gift's for Mom section. 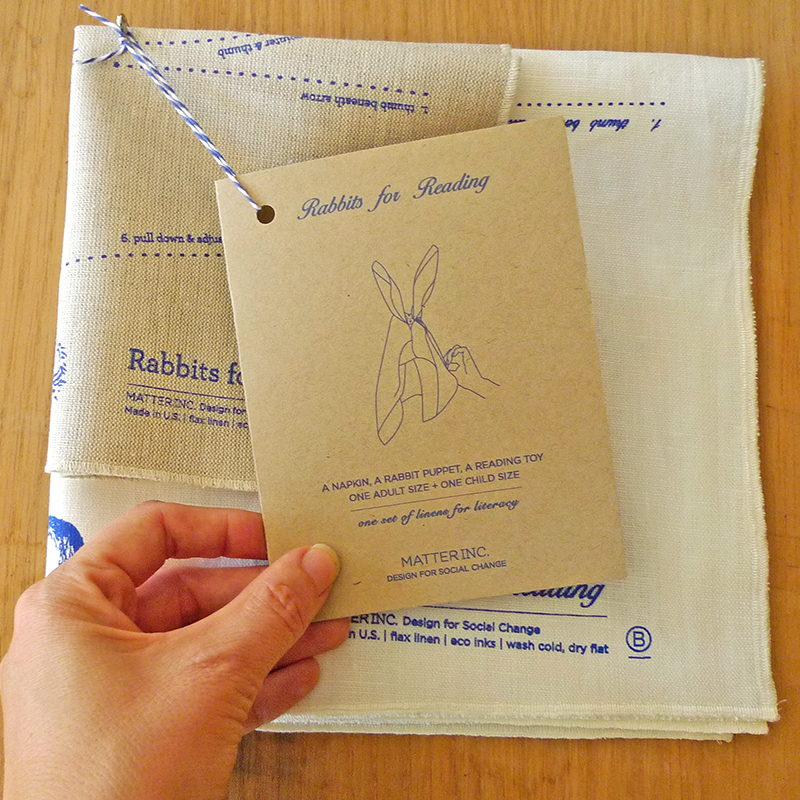 I'm delighted to announce that the Rabbits for Reading are now available online and at a special intro price too! These fine, flax linens are made in New York in the Irish tradition by the Ulster family for over 150 years. 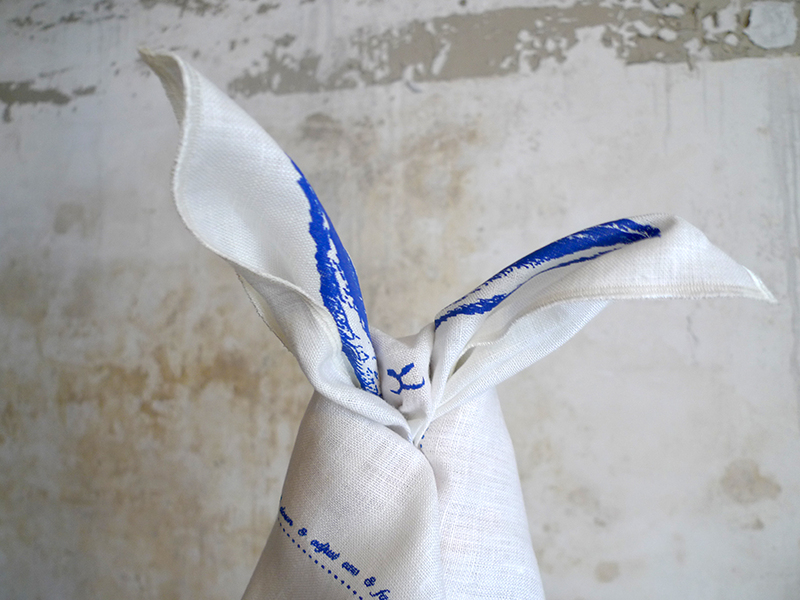 The beautiful design printed upon the linens is in collaboration w/ dear friend and amazing designer Cécile Thalmann. They are sewn by a friend's mother in Chicago and screenprinted in New Orleans by Kelly Scardina. 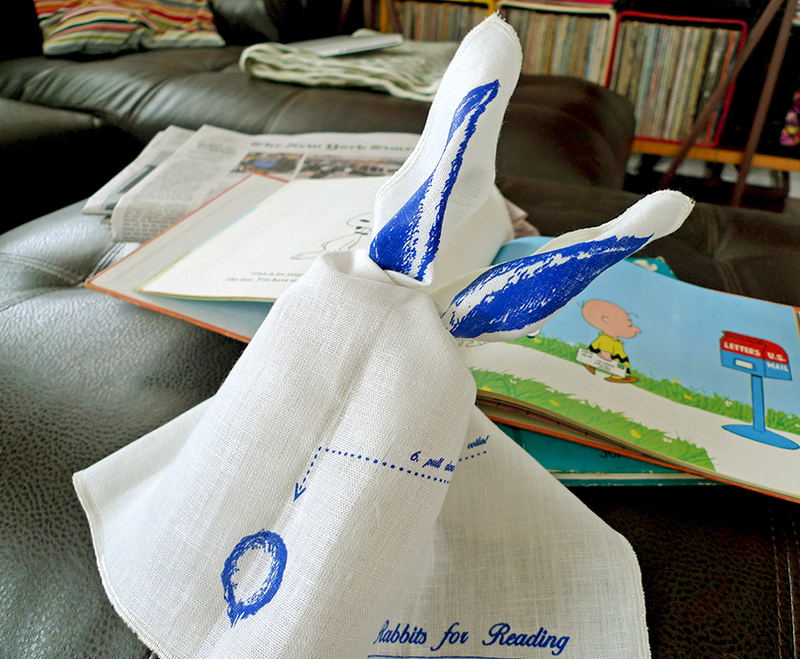 These literary linens donate to S.T.A.I.R. & First Book and come in an adult & child's size. Check out all of the details here about this new reading toy! New showroom/studio on O.C. Haley + free shipping (for my birthday)! New Studio/Showroom at 1618 O.C. Haley! Come and see us soon at our (Matter + InvadeNOLA) new studio/showroom on O.C. Haley, right above Church Alley Coffee in the zeitgeist space! An opening event will be happening in October more coming soon.. Pic above is a construction days sneak peek & big thanks to Alex Podesta for building our wall of windows & installing a door (which we got from the Green Project & windows from Solo Coffee!) for our entry way, being a carpenter's helper was fun. It's a beautiful space & I so look forward to welcoming you there! Free Shipping on orders over $20 w/ code 'laboroflove'! September brings my 40th birthday, please celebrate my birthday with me & help make our move a little lighter with code 'laboroflove' at checkout for free shipping on orders of $20 until Sept. 15! FRONTIER Pop-up Shop for September & October! Starting Sept. 4 & through Oct. 26 Frontier, a group of New Orleans design businesses (including Matter, InvadeNOLA, Smoke Perfume, Tchoup Bags, Flying Fox, Hayley Gablervage, & Natalie Woodcock) will have a retail home at 3700 St. Claude! Our shop hours will be Fri - Sun, 12-6 for the months of September & October + a grand opening event Sept. 13! More info on that soon & also find more info on our Facebook page! This week, an email from Twitter congratulated me on my four year twitter anniversary of BirdProjectSoap. A nice reminder that four years ago this idea of Bird shaped soaps to help raise funding for BP cleanup started pecking around in my head! I was in New York at the time & drove down to some dear friends' wedding in Virginia. During the seven hour drive, the idea took better shape & sealed the deal for me wanting to pursue it. Many of my closest friends were also at the wedding so we talked about it some between celebrating & I got some great feedback and a lot of excitement for the idea. I knew that I wanted the name to share the initials 'BP' so BirdProject became the name that night. I got the goosebumps as I bought the domain name & setup the twitter account that same night, the first step in making the idea real. On my drive back to New York after the wedding, I decided that I should go to New Orleans to find some answers. To make I long story short, I'm so glad that I did! It's funny and amazing how one decision can change your life so much. So, in celebration & in thanks of the 4 year anniversary of the conception of BirdProject we are happy to offer free shipping on orders over $20 until July 31 - use code fouryears! at checkout! Thank you so much for your support, I'm so grateful and excited that the Birds continue to spread their wings! Fast forward to the present, last night was the grand opening party of West Elm in New Orleans & I'm thrilled that BirdProject and our Dreams Matter notebooks are part of their West Elm Local Makers & Designers selection! The party was packed & I'm honored to be in such amazing company, check out the full list here. 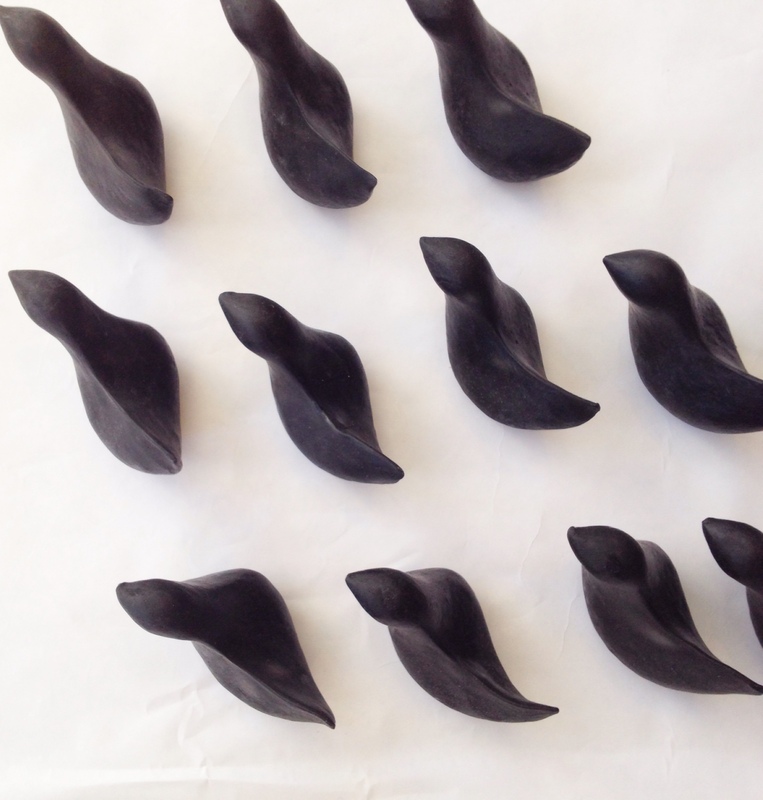 PS - more here on our beginnings on the BirdProject blog, all about the process of our startup! A little solace during some downright awful times around the globe. Last week brought so much sad & awful news around the globe that I found myself pretty emotionally worn by the end thinking of everyone involved. Yesterday though, I found two bits of solace, so I'll share with you in case they'll help you too. The first is a little book by George Saunders that I bumped into at the library, 'Congratulations, by the way: Some thoughts on Kindness.' It's a short and quick read based on a commencement speech that he gave at Syracuse University. A great reminder that the acts of kinds that we either do or wish that we had done are the things that truly stick with us. Ironically, the things that we are usually focused on are not what we will remember later down the road. Also, a bonus of some lovely illustrations of the starry universe as you go along. The other is this article that was in Sunday's New York Times, 'Love People, not Pleasure.' Arthur C. Brooks speaks of the things that will truly make us happy on our search for happiness, ironically are not what many of us seek. The things that DO bring us happiness are the people in our lives, while the other, extrinsic things (fame, fortune, material possessions, etc.) actually make us sick & unhappy. Give it a read, a great discussion on happy and unhappy. Locally, New Orleans' rise in murders and crime seemingly right in line with rising temps, is also troubling to say the least, as well as a cyclist being brutally killed by an 18 wheeler at a heavily trafficked intersection last week. Personally, my dear great aunt, a second grandmother to me, also passed away a little over a week ago. Life is all about balance & it seems the hardest to keep in mind and to achieve. To remember that balance is actually achievable can be easily forgotten and these two bits of hope helped to remind me of that. I hope that they give you a boost too if you need it and here's a wish of hope for balance sooner than later around the globe & peace for the places now at war. I also try to remember something that a dear friend has said to me many times, 'That after the mountain, comes the valley.' ps - for a lighter read, I also found this biography on Julia Child by Laura Shapiro, which is also off to an excellent start!